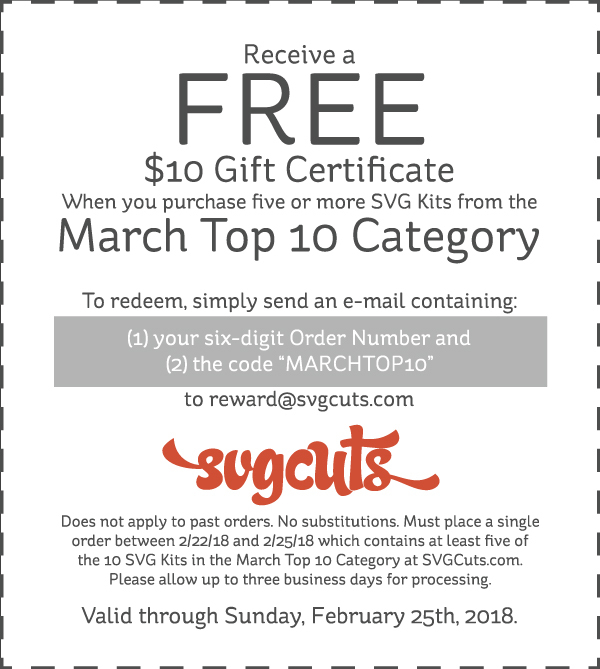 March is just around the corner--are you ready for your next paper craft project?? Here's what's HOT this time of year! The buzz is about more than just bunnies and shamrocks! This kit comes with a pretty paper rose with a flat bottom, so it's easy to affix to a project. 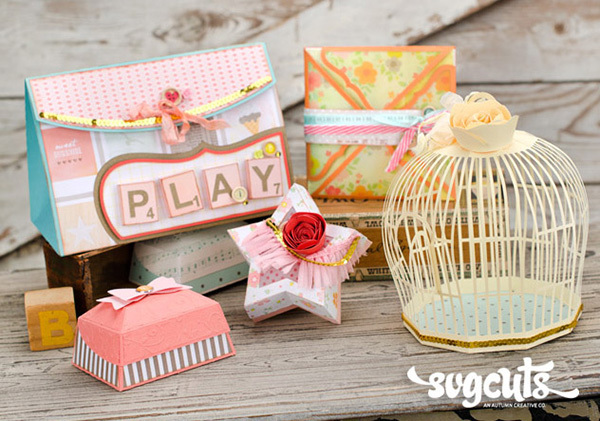 The birdcage takes mere minutes to glue together, and with a change of paper/color, the boxes and bag are great for boys and mens' birthdays too. This elegant Kit of projects includes a clock! Make it without the gears for a different custom look. Its numbers are cut out of its top layer, so you don't have to glue each one on. 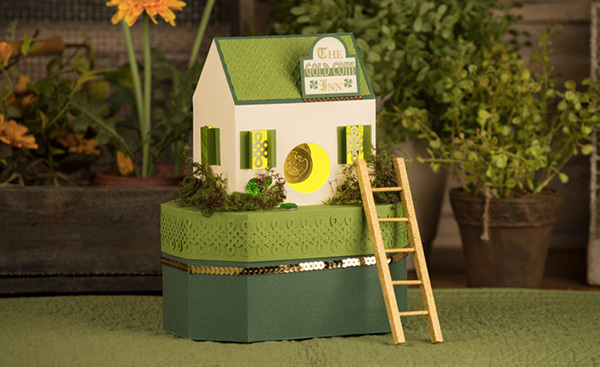 This cheerful Kit includes the pedestal, too! Set your next project on it and "elevate it" to a new level (pun intended). It hasn't taken this Kit of projects long to rise to the top of "all-time popularity" with our fans! Plan ahead for a friend's birthday with something extra-special from this Kit. 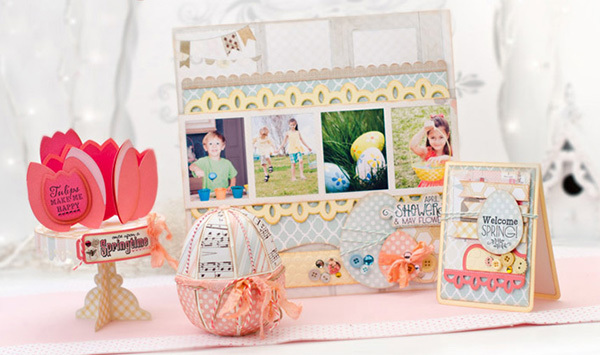 Capture the anticipation of fresh air and showcase your favorite pretty paper! If you love Saint Patrick's Day, then 'nuff said. But don't forget to use the rainbow gift bag for kids' birthdays or make it in pastels for a baby shower gift. The Dress Form in this Kit has been a big hit! Also, the large round Hat Box takes maximum advantage of a beautiful piece of 12x12 paper, like this one from Graphic45. These cuties are reminiscent of vintage Putz houses. Have a ball adding details like texture, lace, pearls, chenille stem trim, glitter, and sequins. You might just end up "spring-cleaning" your craft supplies while you're at it!